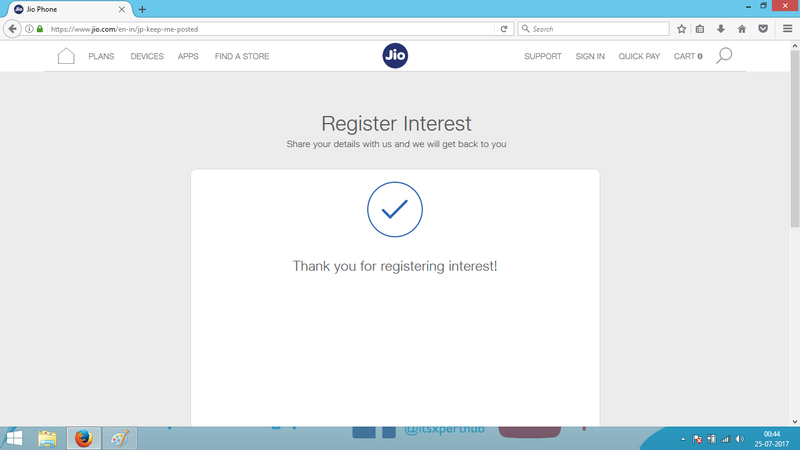 Have you registered yourself for getting Jio phone? 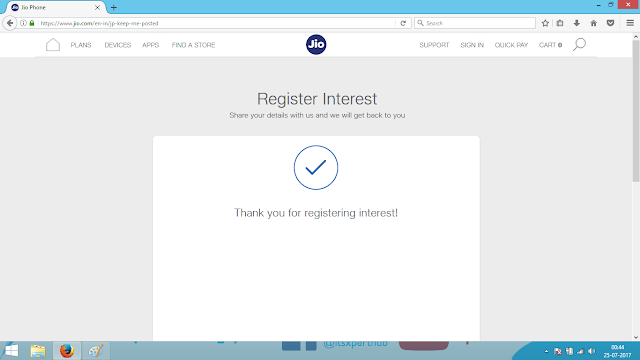 If not then do it now at official website of JIO. Mukesh Ambani has announced that Free Jio Phone Pre-Book or registration Online and this will be available at an effective price of Rs 0 only. 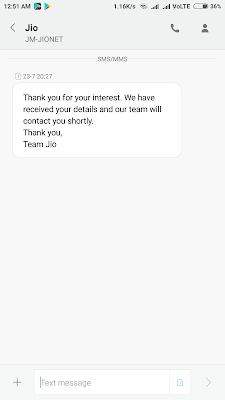 It is available for all the consumers which can be book JIO Phone by paying just Rs.1500/- as security purpose and this security deposited amount completely refundable after a period of three years. This is an incredible offer by Mukesh Ambani once again. 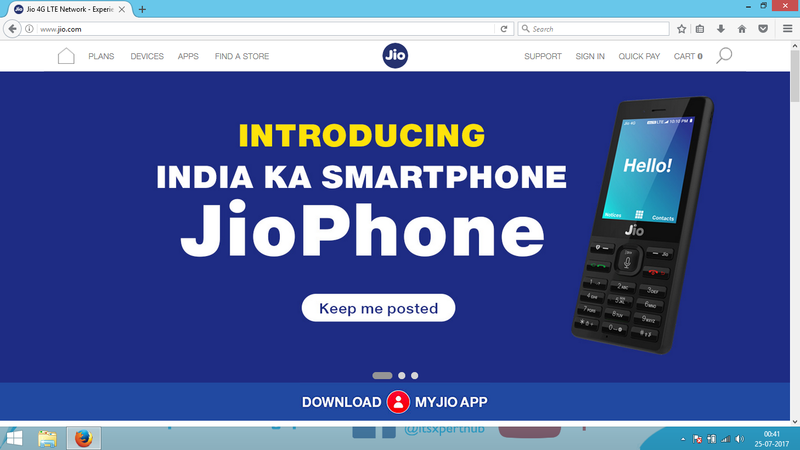 Jio will reinvent the conventional feature mobile with an innovator device. This Jio Free phone going to be the superhero of this segment and it is the great chance for the customers who are using 2g or 3g phone which has not that features this will be the great opportunity for them. 1. Log on to www.jio.com and there you will see a banner "India Ka Smartphone JioPhone". Click on Keep me posted. 2. Now fill the details like your first and last name, email, phone and area pin code. After filling the details click on submit button to complete your registration process. 3. 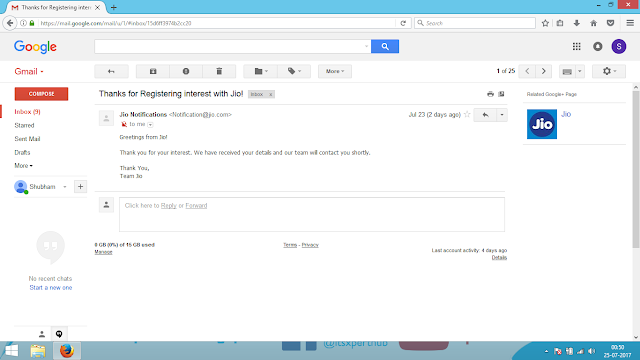 On successful registration you will see a confirmation message on the screen. 4. 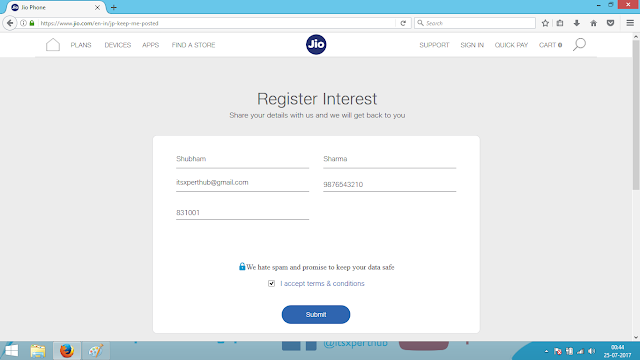 You will be email by Jio in the email address entered by you at the time of registration. 5. You will also receive a text message on your mobile number you have entered at the time of registration. Now you are all done. 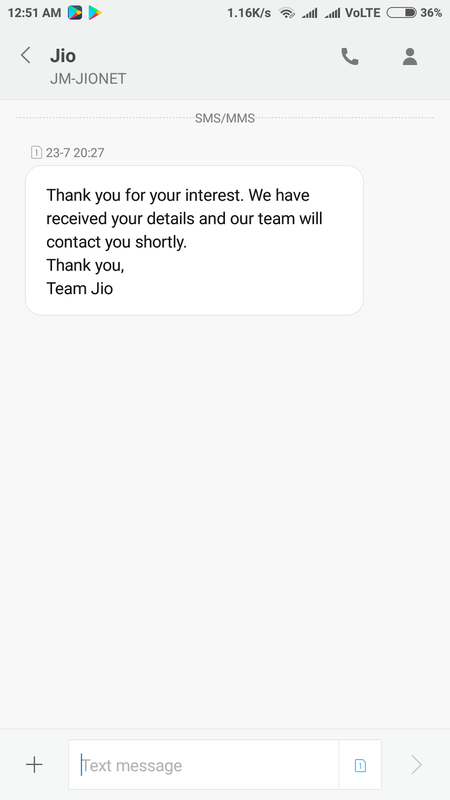 Jio will regularly notify you with the JioPhone Updates. 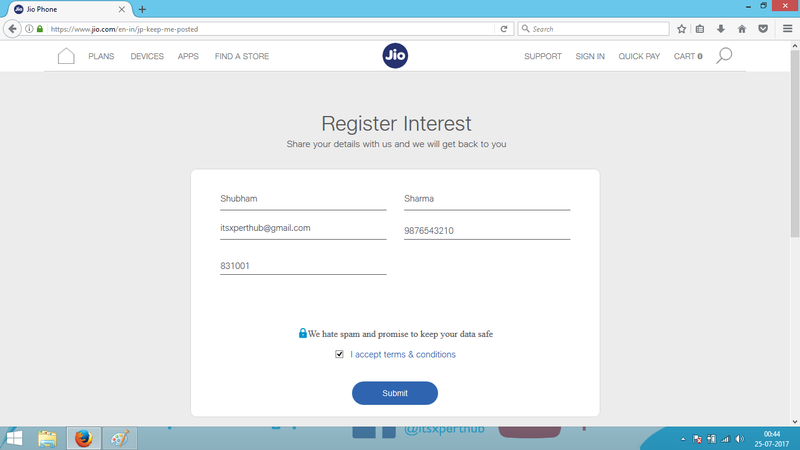 Security deposit Rs 1500 for Jio free phone. Available 4G unlimited data, Free SMS and Voice call.